Bolstering their level of football expertise, ESPN has added Hall of Fame wide receiver Jerry Rice to their list of analysts for the coming NFL season. He will appear on several of the network’s shows, including NFL Live. 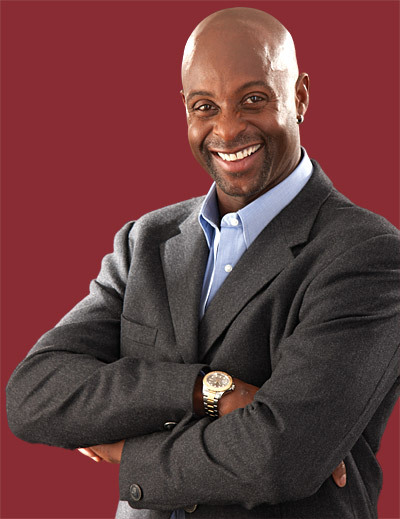 Jerry Rice played 20 (count ’em – TWENTY) seasons in the NFL, spending the majority of his career with the San Francisco 49ers. He retired after the 2004 season and was enshrined in the Pro Football Hall of Fame in 2010. No other receiver in league history accomplished what Jerry has. He is the NFL’s ALL-TIME leading receiver, having amassed 22,895 total yards and 197 touchdowns. Bear in mind, that Terrell Owens follows him with 15,934 yards. Who’s gonna catch the guy? Look for Rice on set beginning September 15th.